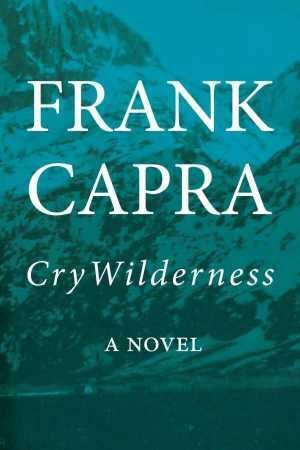 Los Angeles, CA (The Hollywood Times) February 13, 2019 – Before October 2018 Frank Capra’s Cry Wilderness had never been published. The novel written in 1966 by the legendary film director and his family is glad they came across some undiscovered works. Capra known for films like, You Can’t Take It with You, Lady for a Day, Mr. Smith Goes to Washington, and It’s a Wonderful Life) is an American icon and that word is used so easily but with him? It’s befitting. The story centers around his vacation home that he retreats to with his wife to go fishing in a very small town with smaller minds yet rich with schemes to get rich and get rid of the two local derelicts, Dry Rot and Bear Bait. They live off the land and don’t bother anyone. The locals are charitable, until a local deputy Sheriff is fired for leaving a dead deer behind (with Capra’s assistance) for the two vagrants they’ve come to like and in some ways, admire. I love Frank Capra’s films and although his usual stand up for the little guy is one of his most redeeming and effective tools as a beloved director, in Cry Wildnerness Capra loses site of his story by taking us on long journeys to envision the scenery and wax poetic or politic on his vision of how the locals should play their roles as opposed to allowing them to be true to themselves. With all the John Muir and Mark Twain quotes on top of the landscapes illustrations taking so long, the book is a good read for what it is. A book written by a man who was a brilliant film director and knew how to get to our hearts and our souls. In Cry Wilderness, he’s trying to find his way to do the same and succeeds to a degree but more importantly, I believe he shows us who he is as a man and human being. That experience alone, is worth reading the book.